The sensational Amalfi Coast and the haunting ruins at Pompeii are among the region's highlights. Aboard the most award-winning ships at sea, your story can be written exactly as you wish: pamper yourself at the Feng Shui-inspired Crystal Spa, work-out at our state-of-the-art fitness center or Walk-on-Water along our 360 Promenade Deck; learn how to translate your story into a movie with USC’s School of Cinematic Arts Digital Filmmaking class at our Creative Learning Institute ®; or learn about art, history and worldly destinations with our engaging celebrity entertainers and speakers with our Crystal Visions® Enrichment Program; sneak away to watch recently-released movies in the Hollywood Theater, shop our luxury boutiques, or simply lounge poolside while our attentive crew caters to your every whim. From mat Pilates and yoga to PGA golf instruction and paddle tennis on full-size courts, today is all about you. As evening arrives, dine on the renowned culinary creations of Nobu Matsuhisa, and Crystal’s own acclaimed chefs with new Modern Cuisine and Global Inspired menus, enjoy special wine-makers dinners, breakout new production shows, intimate lounges, a pulsing dance club or our action-packed Crystal Casino. The choices as always aboard the World’s Best are yours. How will you write your story on board? *All fares and savings are per person, in U.S. dollars based on double occupancy. Cruise Fares and Your Exclusive Fares are cruise only and do not include taxes, fees, and port charges of $315 per person. Your Crystal Savings are subject to availability at time of booking. 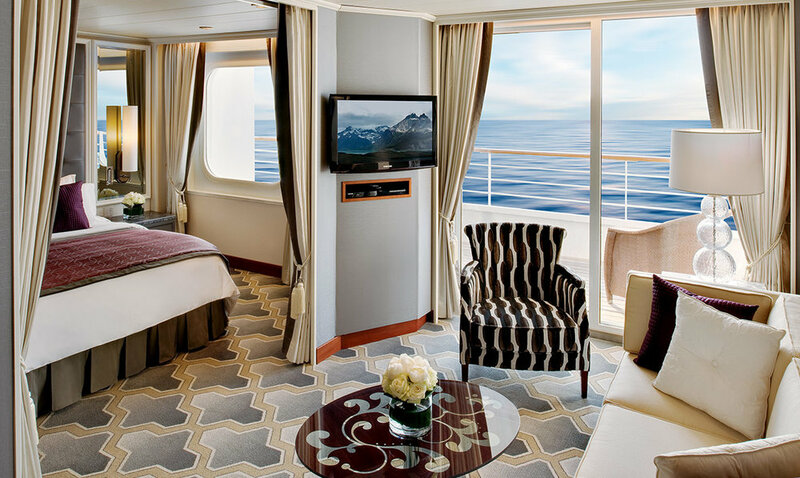 Book Now Fares are per person in U.S. dollars, based on double occupancy for the first two full-fare guests in suite, include all Book Now Savings, and, do not include taxes, fees or port charges. All fares and savings vary by category and departure date.